Die Administration des Deutschlandstipendiums an der Universität Bonn liegt bei der Bonner Universitätsstiftung. Besuchen Sie die Webseite der Stiftung für weitere Informationen. Unser Dank gilt selbstverständlich auch allen Förderern welche das Deutschlandstipendium unterstützen ohne genannt werden zu wollen. Members of the alumni network have been supporting committed and talented students as part of the Deutschlandstipendium scholarship scheme since 2016! Thanks to the support of our members, several complete scholarships have already been financed. 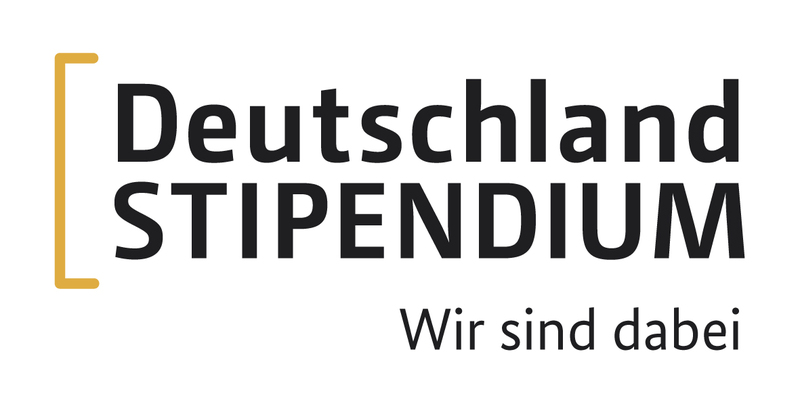 With the Deutschlandstipendium scholarship scheme, your donation achieves a dual effect: The federal government takes on half of the financing for every privately donated scholarship. Every scholarship recipient thus gets 300 euros a month, of which 150 euros comes from private donors and 150 euros from the federal government. Your donation is also tax-deductible. That's where strength of our Bonn alumni community comes into play: Besides the possibility of taking on a complete scholarship (1,800 euros per year), many smaller contributions can also have a big effect in the community. Your alumni network and the Bonn University Foundation collect all of the donations received – whenever a total of 1,800 euros is achieved, a further scholarship is granted to the University of Bonn The administration of the Deutschlandstipendium scholarship scheme lies with the Bonn University Foundation. By donating to the Deutschlandstipendium program, you support committed and talented students in a formative period of their life, but also contribute to strengthening your alma mater as an educational and research institution. Find out here what success stories lie behind the Deutschlandstipendium scholarship and how you, too, can get involved.